Atlanta, Georgia is an interesting melting pot of car culture, just like the people that live there. It doesn’t get the attention or big events that the west or east coast gets, but there are a growing number of enthusiasts that are turning out tasteful and stylish cars. Atlanta roads are pretty terrible so seeing really low cars on a day to day basis is really rare and even more of a pain to live with. 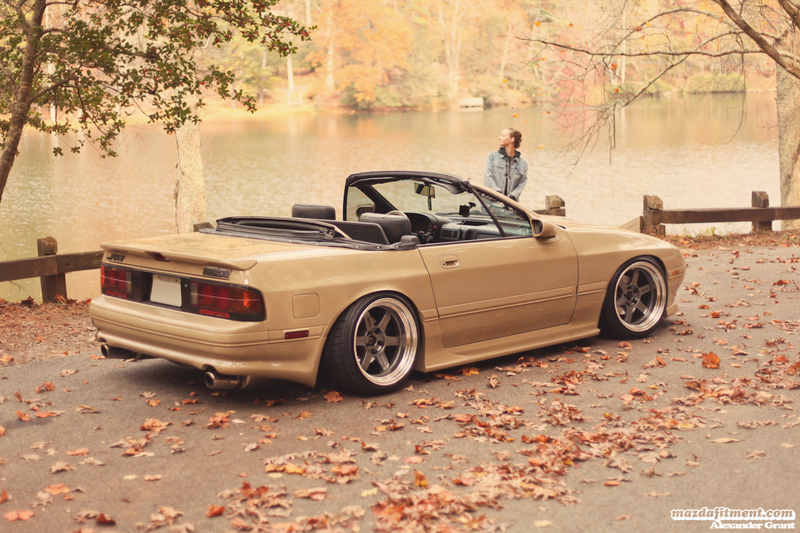 Here we have an example of that with Alexander Grant’s 1991 Tan FC RX7 Convertible on Volk Racing TE37v. Alexander’s earliest memories of enjoying cars is when he had to temporarily move from London, England to New York in the early 1990s. He was around 6 years old at the time and remembers watching monster trucks, stunt cars jumping into stacks of vans, and tractor pulls. Spurred on by his Dad, Alexander would always save up his pocket money for buying hot wheels, matchbox, crash-test-dummies, and etc, even little toy cars made of lead from antique stores. If it had wheels, he loved to play with them. He would enjoy washing their rented Mercury Sable wagon with its goofy digital dash and riding in the suicide seats. Fast forward a decade and Alexander is back living in the UK, and finally reached the driving age. The UK culture was mostly “boy racers” and “chavs” with their “MAX POWER” style hot hatches, so of course he ended up with a MK3 VW Golf. Owning a car in England is expensive, especially the insurance, and modifying them only makes it worse. So Alexander’s little Golf remained stock throughout the 4 years of owning it. The turning point was when Alexander moved back to the USA to study Graphic Design. Suddenly owning and modifying cars was relatively cheap, so that’s when the hobby kind of exploded. 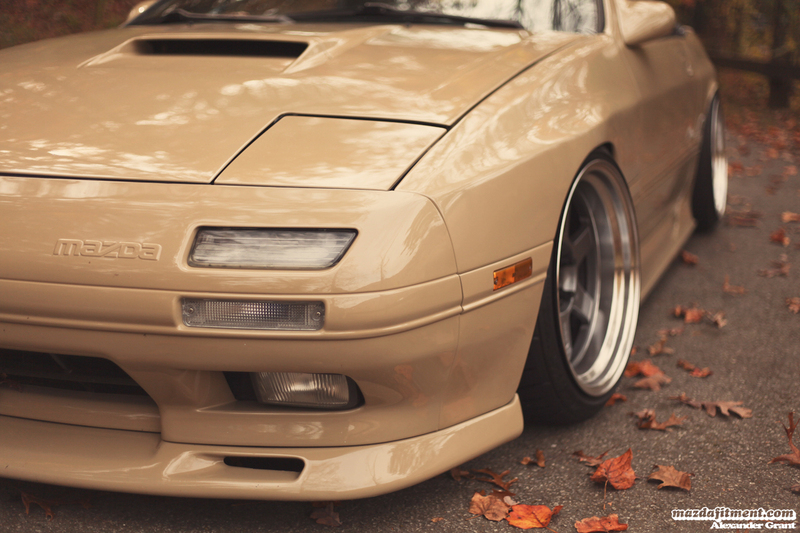 Previously all he knew were European cars, but his new friends in the states turned him onto the world of imports. 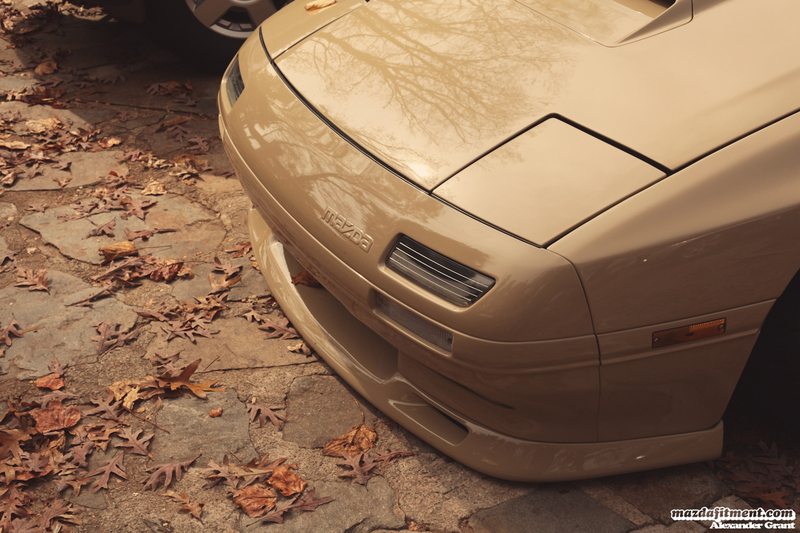 A few years ago, he wouldn’t have had any idea what a rotary, RX7, SR20, and S13 was, but now Alexander owns all those things. Alexander had never ridden in a convertible until a friend bought a beat up old Chrysler Voyager. It may have been a terrible car, but the experience out shined its performance. At this time, Alexander had a fully built drift car and a pretty fast Nissan 350z daily driver, so he felt like there was a spot for a not so fast summer cruiser. 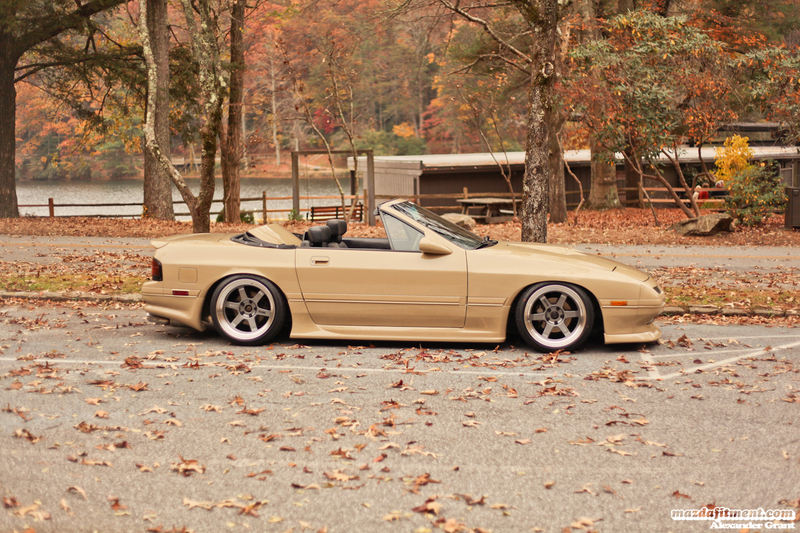 Another friend of Alexander had a FC convertible, which he got the pleasure of driving around at a drift event parking lot, so that’s when the idea was “Inceptioned”. Once Alexander decided that he wanted one of these good looking cars powered by triangles, he started looking but to no avail. However, a few months later, he was given the information about a man who had an RX7 convertible that was having trouble passing emissions and wanted to sell it. It wasn’t listed on any classified AD sites and the price seemed too good to be true. 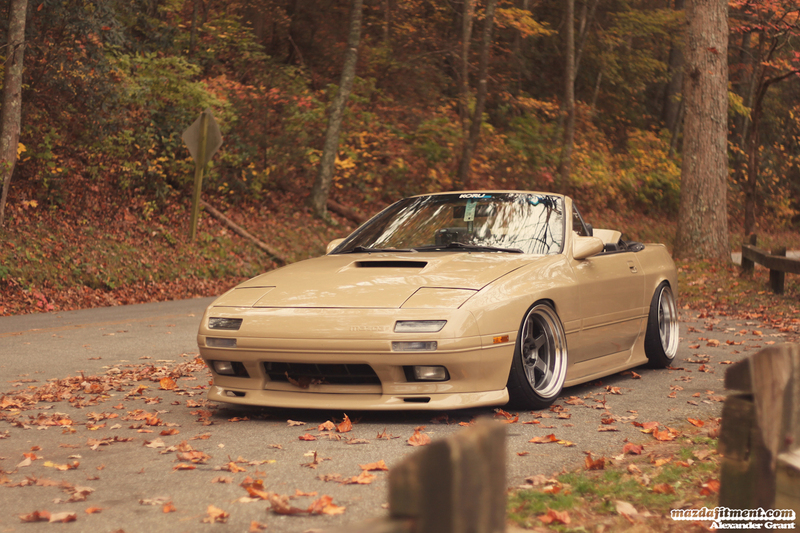 It was a super stock 91 FC convertible with the usual electrical gremlins, but nothing Alexander wasn’t able to fix with the tutorials on RX7 Club. And here we are today with literally what Alexander set out to do with the car. A simple and clean summer cruiser with the exterior aesthetics and maintenance to back it up. Alexander’s convertible is still a work in progress. The seats need to be recovered. He toyed with the idea of replacing them, but there’s nothing like driving around with headrest speakers that actually work. 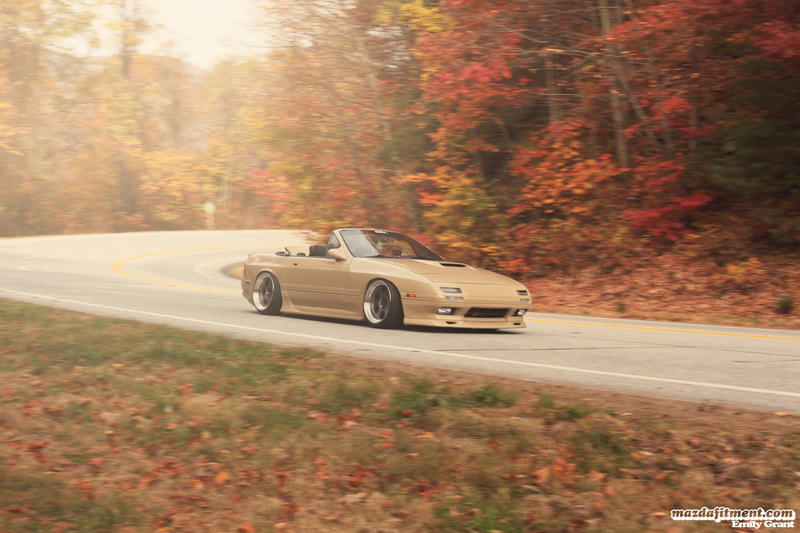 It doesn’t have a TurboII heart yet, but the NA has 177,000 miles on it and its still going strong. So once the current engine gives up, you will probably see the TurboII in the future in this beauty. However, the favorite thing about this car is not the modifications, but the lack of them because everything is in working order. The headrest speakers, the power top motors, the air condition, the cruise control, and everything; that’s a small feat in itself. Alexander would like to give a special shout out to Sammy at Tiger Racing for the engine and suspension work, Tim at Best Damn Shop Around for the body and paint work, Hertrech at Enjuku Racing, GranTurismo East, Team Rowdy, Foerst Motorwerks, Koru, Atlanta Mazda Owners Club, and everyone else he may have forgotten to mention! We at Mazda Fitment would like to thank Alexander for letting us share his creation with us and getting the wonderful shots! Hope you all enjoyed this one!